New York City is a place I’ve wanted to visit for a very long time. I never knew what to expect if I visited but I would take the surprise. When our 10th anniversary trip we planned for Greece was scrubbed for various reasons we settled on something closer. 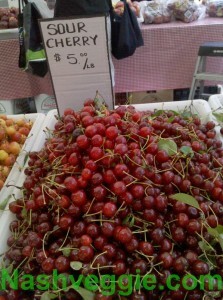 New York City would give us more money to spend and, from all the information I could gather, many more choices to eat. Being foodies, eating out is half of the vacation and if you are a foodie you know exactly what I am talking about. Walking into a restaurant in a city that you’ve never visited is an experience near that of stepping off the airplane. Our arrival in NYC began with an AirTrain ride from JFK to a point where we could take the subway into Manhattan to our hotel. I am aware that you can take a taxi to Manhattan from JFK for a flat $45 plus tip and toll but the AirTrain and Subway is a $7 total plus experience. Or I’m cheap, take whichever you like. Once into Manhattan we found the train we were on would not connect with the train we were instructed to take by Google Maps to the station nearest our hotel so we began a 20 block walk with luggage in tow. (We didn’t look like tourists at all at this point; tired and cranky pulling rolling luggage). Once at our hotel we cleaned up and headed out for a quick bite since we had not eaten since 3am prior to heading to the airport in Atlanta. We had passed a Chipotle a block from the hotel and Mrs. Nashveggie suggested we go there since we were both too tired to think about a new menu in an unfamiliar restaurant. Of all the places to eat in New York City we picked a Chipotle, at $2 more per item. We were tired. After a night of sleep we were ready to hit the city. You can’t start a day in New York City without a bagel and by chance our hotel was just around the corner from a Times Square Bagel location. Once I learned to order a bagel properly I was in and out of this place each morning with quickness and munching on a hot, tasty bagel. Our first stop of the day for lunch was on advice of a friend of Mrs. Nashveggie’s who once lived in the East Village, Benny’s Burritos. 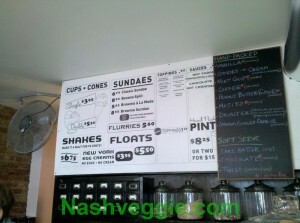 The daily specials were written on a chalkboard on the other side of the 12 table place. 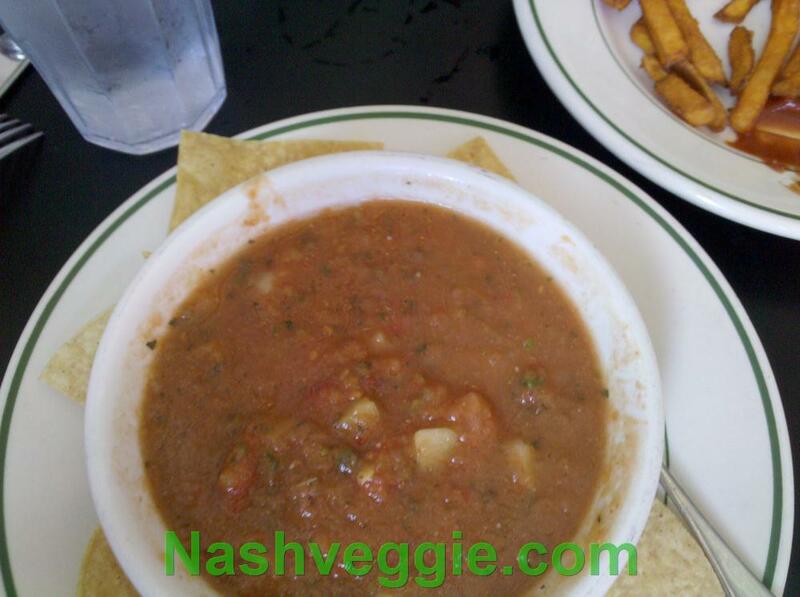 Upon a closer inspection, Gazpacho was listed as the soup of the day-perfect for the warm day of walking ahead. The soup was great with a nice touch of mint. A reasonably priced lunch and we were on our way. 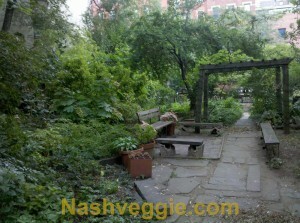 After lunch we stopped by the 6th Street and Avenue B Community Garden which the same friend had a part in starting. It was nice seeing little tracts of garden divided up for different people to take as their own but the entire time I was walking through I felt I was invading someone’s space. If I saw someone walking through my garden I would definitely question their intentions, loudly. 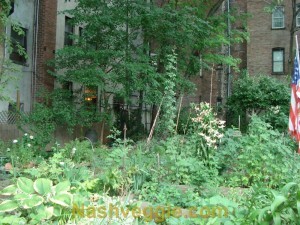 Apparently, it is welcomed and encouraged in the community gardens so this made a nice stroll on our way. We had a list with us of places we wanted to check out and since we were in the East Village, Lula’s Sweet Apothecary was nearby. We arrived a few minutes before they opened and waited nearby. Once inside we found plenty worth waiting for. I decided the one thing on the menu I hadn’t had at home or in some fashion elsewhere was an Egg Cream (no egg, no cream of course). 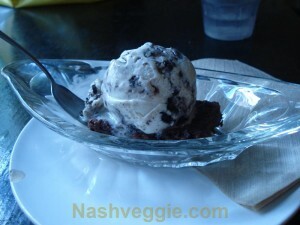 Mrs. Nashveggie settled on a Brownie a la Mode with Cookies & Cream ice cream. Drinking the egg cream through a sustainable stainless steel straw, I was thinking this should be easy and simple to pull-off at home. 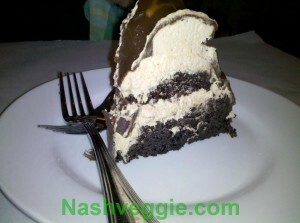 Mrs. Nashveggie raved about her sweet pick, saying the brownie was one of the best she has had. Lula’s is a very small room with very limited seating at the window, maybe 4 people. Their ice cream flavors change regularly, most have a cashew base, and they have “Soft Serve Mondays” with different flavors each Monday. We didn’t make it on a Monday to try them and get fatter. 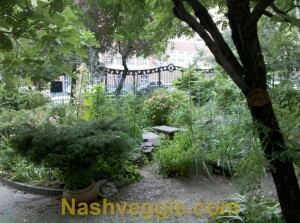 Just down the street from Lula’s is Caravan of Dreams, a restaurant serving live and raw entrees. We walked by and looked at a menu and I glared at the food on people’s plates who were dining at the outdoor tables. I do a lot of glaring at the food people are eating when I check out a new restaurant. I’m sure some people think, “Why is this guy staring at my food? Is he that hungry?” The answer is yes, I’m typically that hungry and looking at your food helps me gauge if the restaurant will satisfy that hunger. I find myself standing on sidewalks outside restaurants staring into windows at people sitting beside the window to see what they are eating. Some people offer to buy me food or give me money to make me go away. I don’t intend to look homeless. We didn’t go into Caravan of Dreams to check it out further but on later advice it seemed it was the place to go for live/raw food. That night we decided on The Hummus Kitchen for a Mediterranean dinner. I had a platter of tabouli, bureka, babaganush, beets and tahini. Mrs, Nashveggie had falafel and hummus and tea, not sweet of course. The tea was typical brewed tea with mint leaves which was great but, surprisingly, there were no free refills on the extra small glasses and at $2.50 a glass was not a deal. The food was so-so, the hummus nothing special and I’ve had better made at home. Our later excursions for Mediterranean eats would find far better places. The Hummus Kitchen didn’t score well. The next day after a morning at the Metropolitan Museum of Art we had a late lunch and a craving for Mediterranean, again. 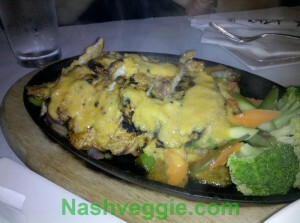 A search by Mrs. Nashveggie found a place called Soom Soom on the Upper West Side that had very good reviews. $5.50 for a falafel pita and unlimited salad bar is the lunch special but the salad bar is simply a toppings bar for your pita. You do get unlimited trips to top up as you eat. There are bottles of tahini on the few tables. The place is a little cramped and you can expect to share a table with a stranger. Our lunch special of less than $12 combined outshined our $35 dinner at The Hummus Kitchen easily. The rest of the afternoon was spent investigating Central Park, a visit to The Strand and Forbidden Planet as well as a visit to Whole Foods Union Square, the busiest Whole Foods I have ever seen. Middle of a weekday makes a Sunday afternoon at Nashville’s Whole Foods look like 3 am at Kroger. Our “quick stop” to get a snack turned into standing in one of six color coded lines regulated by a video monitor instructing the next person what available register to go to. We later made a stop at another, equally busy, Whole Foods in Chelsea and I managed to grab some video of the line which can be seen below. I’m easily amused. The day speeds by when you’re having fun so dinner time quickly arrived. 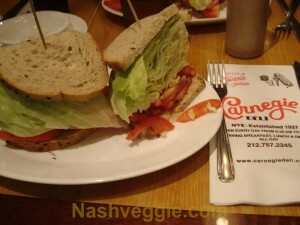 We decided on junk food for the evenings vittles and made our way to the Lower East Side to try Curly’s Vegetarian Lunch. Curly’s Vegetarian Lunch is a hole in the wall, literally. On the night we visited the entire front of the restaurant was open to the street. 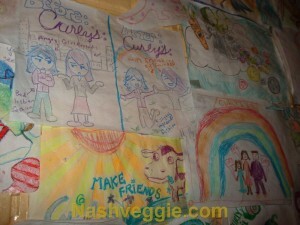 There are few tables, like many places we visited and the wall is lined with crayon-colored placemats srtfully designed by the clientele. Our submission to the art wall was a Nashveggie logo and greeting from Nashville by Mrs. Nashveggie. Surprisingly to myself I wasn’t very hungry but wanted to indulge in some grease so I had a bowl of curly fries smothered in gravy, a very light dinner. Mrs. Nashveggie had a house made veggie burger with curly fries. There were no complaints from her side of the table and my fries hit the spot, hot gravy and all. We finished the night with a midnight visit to the top of the Empire State Building. If you find yourself in NYC and decide to visit the Empire State Building do so late and do so with a City Pass. We waited in no lines and went straight to the elevator to the top upon entering bypassing what lines were there. The view from the top of the Empire State Building is breathtaking. At night it is even more stunning. Lights from miles away were visible even though there were clouds and a light rain. To be standing where King Kong once stood (I know, not really) is something to behold. The next day started with our now regular visit to Times Square Bagel and off to roam through the Metropolitan Museum of Art. After spending a few hours at the Met we went back the hotel to change and go out for dinner. We decided on Asian for the night and Soy & Sake in Greenwich Village was on the list. Greenwich Village has the true hipster vibe going. It’s hipster, we’ll just leave it at that. We found Soy & Sake just down the street from the subway and arriving an hour or so before closing found the restaurant to be not busy and a table for us at the front window overlooking the street beside a large aquarium, a great atmosphere and hoping the food would match. The menu was filled with a vegan’s paradise of Asian cuisine. 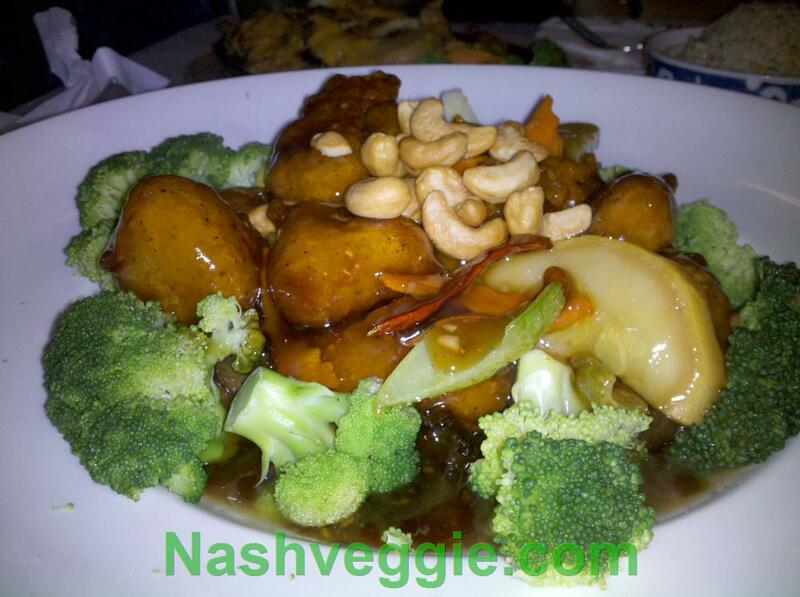 We had a hard time deciding and asked our server for suggestions to which we chose General Tso’s “Chicken” and Mrs. Nashveggie had the Thai Grilled “Chicken”. I was expecting small portions but was very surprised at the large plate of food I was served. The Thai Grilled “Chicken” was served on a hot iron skillet “fajita-style”. After eating everything on our plates, the kind waiter brought us a dessert menu. This too was filled with all vegan items made by Vegan Treats. To say that our choice was easy is wrong. We sort of closed our eyes and pointed to Chocolate Peanut Butter Bomb. And the bomb it was. Chocolate sponge cake topped with the most luscious peanut butter mousse topped with chocolate mousse and drizzled with chocolate ganache. Need I say more? To this point Soy & Sake proved to be the best meal we had eaten in New York City. Everything was delicious, perfect. Soy & Sake - General Tso's "Chicken"
Soy & Sake - Thai Grilled "Chicken"
Day 5 began at the Museum of Modern Art and staring at constructions of tin cans and various items of garbage in a pile. I walked into a room that contained nothing but a stack of 9 hay bales, not in any special design, not in any special form, just stacked. In the room beside it lay a window blind on the floor. I left these rooms feeling more cultured than a quart of yogurt. Our lunch that day brought us back to the East Village for Kate’s Joint. Kate’s Joint is a dive on the corner of East 4th Street and Avenue B, a chalk board outside the door lists the daily specials so be sure to get a glimpse before walking inside. Looking at the menu beforehand, I knew I would be eating a heavy lunch which is something I rarely do so I would try to tone down the portions. 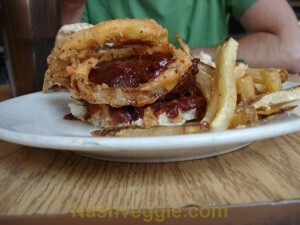 I had a breaded tofu cutlet and mashed potatoes with gravy and Mrs. Nashveggie had a Broke Back Burger which is a house made veggie burger smothered in barbecue sauce and topped with onion rings served on focaccia. My lunch was just filling enough and by the looks of the burger I was glad I opted for what I did, too much for me at lunch. Expect a wait when you order at Kate’s as it seems everything is made fresh to order. I have no complaints about that as I would much rather have hot, fresh made food than something that has been waiting under a heat lamp or warmer to finish cooking when ordered. Our wait was probably 30 minutes from order to food on the table. Service was good, lunch was good, everything was happy. After lunch we made our way to Babycakes NYC. After reading about them I was eager to see what they had to offer. 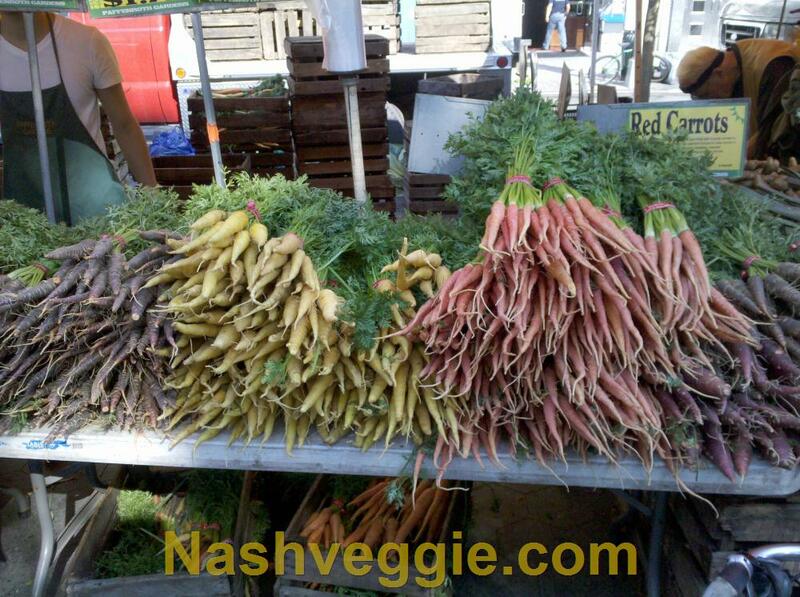 Mrs. Nashveggie was familiar with their recipes and their ingredient choices. She had doubts but still wanted to try their goods. Perusing the selections we decided to try the lemon cupcakes, hard to mess that one up. Well, you would think it would be hard to mess that one up. This had to be the most flavorless cupcake I’ve ever tried as well as having an awful crumbly texture much like dry cornbread. I think most of it made it’s way to the floor as it wouldn’t hold together. I can’t understand what the rage is about Babycakes NYC. They are a vegan bakery in a sea of non-vegan bakeries but there are so many that are far above them in quality. Granted, I base this on one visit and one cupcake. I guess I had higher expectations and that weighs in but after mentioning our disappointment I was met with people saying they felt the same so maybe I’m not that far off. But really, is it that hard to mess up a vegan lemon cupcake? That afternoon was spent walking and shopping. We made our way to Rockefeller Center in the late afternoon and as we were looking around the NBC Universal Store we were approached by a man who asked if we wanted to see Jimmy Fallon rehearse his monologue. Now not being a Jimmy Fallon fan I thought to myself that I didn’t want to waste my time watching someone I feel is completely unfunny but I then realized it was a chance at a unique experience. We took the tickets and were instructed where to go and and to be there at 3 o’clock. What he didn’t say was to not be early. We walked around the store where I found various Law & Order t-shirts I needed and a few Keith Olbermann desk adornments, namely a bobblehead. At 2:30 we went to the MSNBC Cafe and had something to drink and waited while I fidgeted with the gadgetry that is on display, large touchscreen displays in the tables and such. At 3:45 we went to get in line for the rehearsal and saw a page (I’m guessing only from my familiarity with 30 Rock) setting up an area for lining up. He told us to get in line and wait which we did. Not ten seconds later a gruff older page (again, guessing here, not certain) came and told us in a heavy voice, “You go, come back at five minutes until three!” I’m thinking this guy doesn’t like people and might be in the wrong profession. Waiting a few yards away wasn’t acceptable, by “You go” he meant far away, out of sight. Out the door, down the street and maybe another borough may have been closer to his intention. We went back into the cafe and waited the 5 minutes left before his instructed time. Coming back at 2:55 we were told to wait in a stairwell and then as soon as we gathered in the stairwell we were then told by him to line up in the area we originally were in before being whipped out. Time between going into stairwell and then back into area to wait, 5 seconds. This guy was playing with us. Forty-five minutes in this line and then through security and into a small room. where only 30 of the 120 that were in line made it into the rehearsal. Before going into the studio we were bestowed with a visit from three of the writers from Jimmy Fallon’s show and an attempt to warm us up for the rehearsal, at least that is all I could gather from their jokes. Why am I going into this? It has nothing to do with vegan or vegetarianism and has no purpose here really. Remember I said I thought Fallon was unfunny? Nope, it is his writers. These guys are horrible. After we made it into the studio and sat down Jimmy Fallon came out and gave a joke or two of his own, actually a funny guy. Then he went into the material written for the monologue. Not funny. Again, not even related to the material I usually write about on this site but just wanted to throw that in for the amusement of all the Jimmy Fallon fans out there. That night we had invites to an Ikea event premiering the new catalog and the newest items for Fall. We decked ourselves out in our finest New York City Ikea-loving Hipster attire (not really) and found the studio in Chelsea where the event was being held. We seemed to be the first ones there, and early as we ended up being for everything we did while in the city. We realized New York City people are fashionably late or perfectly on time. I would rather be early. Being early we were turned away but given our entry wristbands by the hipster dude who did that sort of thing. All while hitting on Mrs. Nashveggie but I let it slide. I’m secure like that. The event was a great way to spend three hours. There was a presentation and we were able to browse the new items all while partaking of the OPEN BAR. Yes, open bar. This was a win. If you get a chance to try it, and you like vodka, Ikea’s lingonberry drink with vodka is quite tasty. We were approached by the Sale Manager for Ikea North America and spoke with him for about a good while about the new items and our visits to Ikea. We told him we were form Nashville and asked about opening a location. His response was very straightforward: “It’s not going to happen. 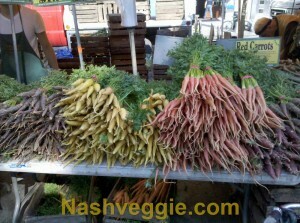 Nashville is not a feasible market. The economy there can’t support it.” I guess that takes some of the wind out of Ikea Nashville wishes. The next day we started out on a pop-culture tour I had put together for us. If there was one day we were to be intensely touristy this was it. We started with a train to the Upper West Side and a visit to Tom’s restaurant. This restaurant was the shot used for Monk’s Diner in Seinfeld. I simply wanted the tourist shot of me in front of the restaurant but thought we might grab something to eat while there. Looking at the menu there was nothing vegan to offer so on we went. Next stop, The Dakota and Strawberry Fields. These are a given on any tourists visit to NYC. A half-hour stroll through Central Park and we were on our way just down Central Park West to the apartment building used as Dana’s apartment in Ghostbusters. The building is undergoing some renovations but the familiar roof is intact. Back on the subway and off to Greenwich Village. Once into Greenwich Village we walked a short distance to the corner of Bedford and Groves. Anyone who watched TV in the 90’s will recognize the apartment building on the corner as that of Monica and Rachel’s from “Friends” then just down and up a street to 10 St. Luke’s place to the Huxtable’s home, at least the one used in the outside shots. After a few picture we were back on the subway and off to the New York Supreme Court Building in Foley Square. This was the one I was waiting for and it looked perfectly familiar as we approached. Any Law & Order geek would know it . The outside steps leading up the doors are used in many of the episodes. I didn’t have a DA to bicker with for a picture but I got a few of myself on the steps anyway. On our way back to our hotel we were thinking we would stop in at the Carnegie Deli to see what, if anything, we could find on the menu for a vegan. Our lone choice was a lettuce and tomato sandwich. After seeing the pastrami and corned beef sandwiches that were brought out to diners piled 10-12 inches high I was eager to see how they served a simple lettuce and tomato. For $6 it couldn’t be much of a big deal. Wrong. Between two slices of some of the best rye bread I’ve eaten was half a head of lettuce and slices of tomato that would equal about 3 whole. After staring and gawking at the monstrosity for a bit I had to find a proper way to devour it. I doused it in spicy mustard and decided to dig in the best I could. 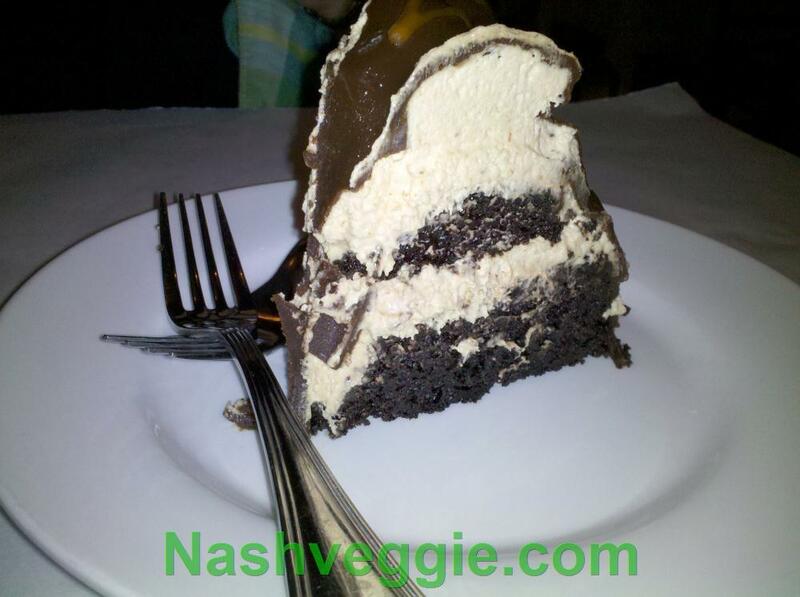 If you’re not vegan and love cheesecake then the Carnegie Deli should be on your list. The cheesecakes are massive, larger than any I have seen and the servings are enough for three, maybe four, people. For value the Carnegie Deli was the best we found even though we could only get a lettuce and tomato sandwich. Carnegie Deli is a hotspot for people in the entertainment industry and is illustrated by the hundreds of headshots framed and posted on the walls. Our last full day included some shopping for Mrs. Nashveggie and a walk down Canal Street to find whatever “goods” could be had. After the spending of cash here and there we had lunch at Cafe Metro. We had walked by this place many times as there are various locations around the city but never bothered stopping. Wanting something quick and fresh we decided a salad would work and we could find one here. Looking at the menu I thought it was a bit expensive, but so is most everything in Manhattan. Deciding to share a large salad we told the man what we liked on it and ended up with what was about 2 pounds of salad for just at $10. Actually, not that bad of a deal and very filling. Fresh, tasty, and lots of toppings to choose from we would definitely visit Cafe Metro again if given the chance. Our afternoon was taken by a Circle Line tour around Manhattan. Of all the touristy things you could pay for in NYC this one, in my opinion, is worth every penny of the $31 you would pay. Our trip took us near things we didn’t make it to and the guide gave us information we didn’t find elsewhere, non-touristy stuff, that most people who are visiting the city probably didn’t care about but we loved. We were taken up close to the Statue of Liberty and given plenty of commentary of which skyscrapers the “evil” corporations owned. This trip was a 10th Anniversary trip. We had planned on a trip somewhere since late last year only settling on New York this spring. With the anniversary trip came a promise for, as Mrs. Nashveggie called it, a $100 dinner. She picked Candle 79 for the pricey meal. I knew I was setup for a night of pretty food, something I’m not fond of. We took our only cab ride of the trip that night to the Upper West Side. We had a reservation for the fashionable NYC dinner time of 8:30. I had told the person who took the reservation it would be our anniversary dinner which may, or may not, have gotten us a table upstairs next to the window overlooking the street. Our server was prompt and very helpful with the menu though we had it mostly memorized from the planning we had done prior. Mrs. Nashveggie orders a Cherry-Lime Rickey for her drink and I stuck with a water, not to be cheap but it’s what I drink when dining out just to get my daily water needs. The Cherry Lime Ricky arrived in a tall glass and was a heavy drink made with cherry puree, lime juice, agave nectar and sparkling water. It tasted fantastic, fresh and not too sweet with just enough lime to give it a tang. I nearly ordered my own. We skipped the appetizer, a decision often made by Mrs. Nashveggie to give our bellies plenty of room for dessert which is always of more importance than a before-meal meal. Going right for the main course I had a quick decision to make but it was one that had been weeks in planning. I had been thinking over the Caribbean Jerk Grilled Seitan and the Summer Harvest Paella and going back and forth between those two entrees for weeks in my head, deciding which I would get. After all, this is no trip to Chipotle, this is a major purchase and I don’t make a major purchase without thinking it over, in depth, for a long time. I finally decided to get the Summer Harvest Paella. Mrs. Nashveggie had at first chose the Paella but when I called dibs on it she went for the Seitan Piccata, a choice she would not regret. I had prepared myself to leave Candle 79 hungry. I expected to enjoy my food but was quite sure it wouldn’t be enough as I am always about quantity. I’m a pig. Our food was served with the style only New York City could do up a pretty food plate. The Summer Harvest Paella was topped with a stack of crispy, fried shallots and saffron-red pepper sauce was drizzled around it. 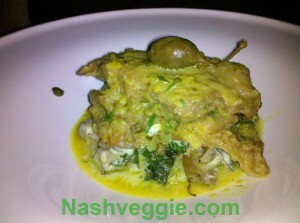 The Seitan Piccata was looking less pretty but equally appetizing. It was topped with a caper berry which I at first thought was an olive with stem. My first encounter with a caper berry and it was given to me as Mrs. Nashveggie isn’t all about the pickled food. I took a bite only to discover it was not an olive and I’m now finding places to use caper berries in our own cooking. There’s a container of them in our refrigerator now. First bite, delicious. It was all about the flavor and both dishes provided plenty. 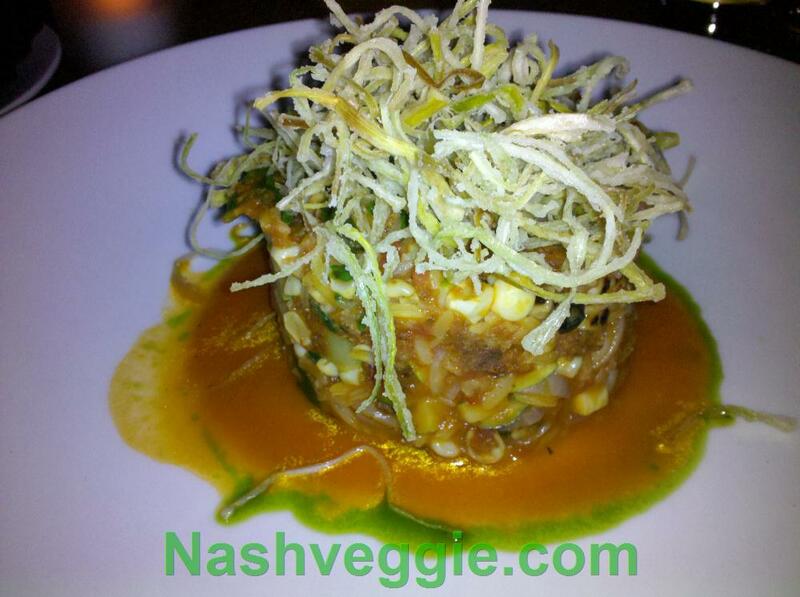 Mrs. Nashveggie was in love with her choice and was happy she chose it over the paella. I was happy with my choice as everything was just what I wanted in a dinner. For our dessert we chose the Summer Berry Crumble as our other choices were chocolate desserts which we weren’t in the mood for and two peach selections and we were very peached-out from the two cases of peaches the month prior and having peach everything-under-the-sun for nearly a month. 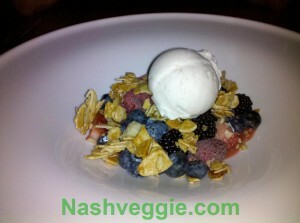 Slivers of almonds lightly sweetened and fresh black raspberries, raspberries and blueberries with a scoop of some of the best vanilla ice cream we’ve had made its way to our table with two spoons. The struggle ensued for each bite. Let me recommend that if you dine with someone else at Candle 79 you should get your own dessert. Our entire dinner at Candle 79 was perfect. Our table, entrees, dessert, service. The $100 dinner was worth it. The next day was our last in New York City so we made a point to cover many things we didn’t get to in the days before and return to some other for a quick purchase, picture, look, or bite of something. One of our favorite things to do when traveling is to find a local farmer’s market so we found our way to the Union Square GreenMarket and picked up two berry pies for a snack during the flight home. 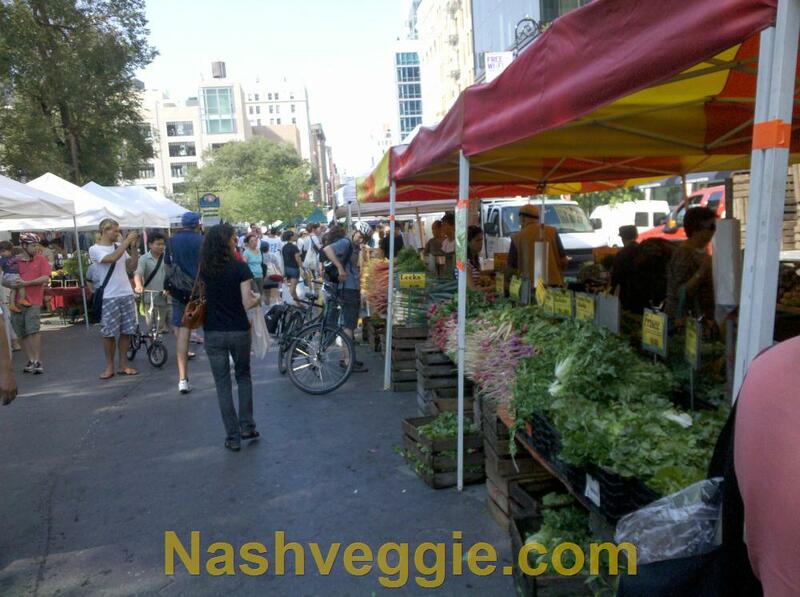 This was our second GreenMarket during the trip, the first one being at Tompkins Square. Both markets were full of fresh produce from around the New York Area and fresh baked goods, much of which was vegan. 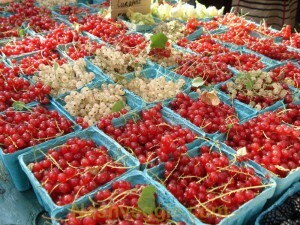 Clearly sugar plums and currants were in season as there were plenty of each at many of the vendors at both markets. 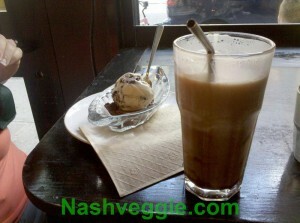 Before leaving we made the decision that New York City was hands down the finest choice for a vegan traveler. We had never experienced so many choices and what was usually an argument over so few choices to dine out at when home was one over having so many to choose from there. We made the decision to return soon and as often as monetarily possible if only to eat as it would be worth every dime of travel to do so. There were so many restaurants that we didn’t get to try in our time there and want to try so many more on our next visit. Be the time you’re reading this I may find myself back once again doing some vegan grazing. Coming back from our vacation in St. Augustine we stayed the weekend in Atlanta. Atlanta is a semi-regular trip for us as my mother-in-law and brother-in-law live there so we know the places to eat well. Saturday we had lunch at Veggieland, a small restaurant in Buckhead that has quite an extensive menu. I usually get a sandwich but decided to get a salad of some type since when I am usually there some at a nearby table orders one and I tell myself to get a salad next time. 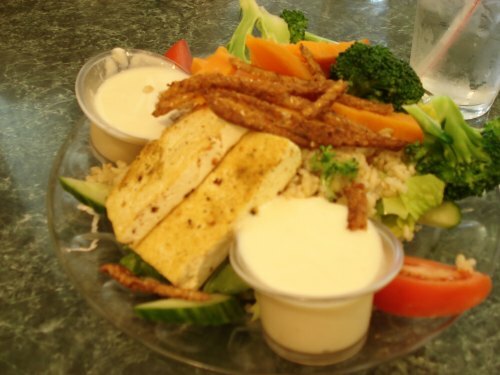 I got Jennifer’s Salad (some salads are named after customers who have created and ordered them regularly), a mix of spinach, brown rice, steamed broccoli, steamed sweet potatoes, tofu, tempeh bacon, tomoatoes and cucumbers with a vegan ranch dressing. My wife had the Tostada Salad, I am not sure what all was on it but it was tasty as I swipped a bite. My brother-in-law had a pasta dish with steamed vegetable which smelled great and my mother-in-law, who never branches out in her vegan eating when she eats with us, got her usual veggie burger which was served with sweet potato fries. Veggieland also serves a few vegan cakes and we had a slice of a peanut butter-chocolate cake and a strawberry cake. I am never impressed by their cakes, they are good but noting compared to what my wife can whip up. They are served directly from being refrigerated and are far too moist, their cake supplier has a few things to learn in the art of vegan baking. Saturday night my wife and I had planned a dinner out and we considered Cafe Sunflower, of which I am not the biggest fan (see pretty food rant). After looking at the menu we quickly decided against it as their prices have increased considerably over the already overpriced amounts. We called to check on the hours of Soul Vegetarian, a restaurant operated by African Hebrews, but were told they would be closing early for Passover. They informed us they would be open the next moring for brunch, not a big deal to me but my mother-in-law has some kind of infatuation with it so she said we should go then. After thinking and not finding anything that we really wanted to bother driving to and burning expensive gas for we decided to go to a nearby Mexican restaurant where they prepare guacamole at tableside. After a bowl of guacamole and a margarita we called it a night. Sunday morning started with Soul Vegetarian. After looking at their menu I found there was too much to choose from to waste time on a brunch selection. I ordered a plate of collard greens (one of my favorites) and barbecued kalebone, described as made in house using soy protein and wheat gluten. It is seitan with some spices added but is quite good. I was served two large pieces and my collards and was quite happy. My wife had a battered-fried “steak” and macaroni-and-cheese made form raw cashews. The steak was also seitan but not flavored the same as what I had and covered in gravy, also quite good. My mother-in-law went out on a wild tangent and ordered…no wait, she had a veggie burger. I had a bite of the patty and it was different than any other veggie burger I have had but since I didn’t eat the entire thing I am not sure what tey used to make it. My daughter had two huge pancakes from the brunch menu, she is a pancake lover. They were very moist and again, huge. I almost forgot, onion rings! We had onion rings for an appetizer, battered, fried, crispy and delicious. The night before whicle searching for a dinner place we found Cosmo’s Vegan Shoppe’s website and noticed the address was near Soul Vegetarian so decided a stop there should be next. 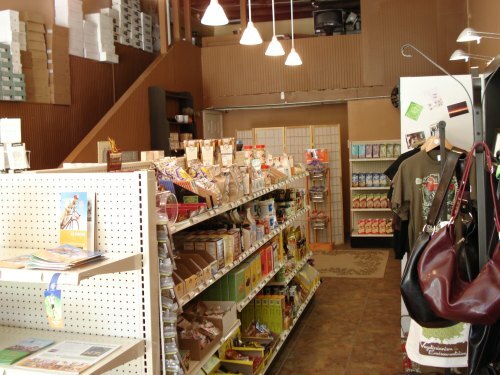 It is in a small storefront and they have a good selection of vegan items usually only found online. Asmall corner near the front of the store has clothing items including vegan shoes and belts. There are two aisles of vegan foods and a cooler with vegan cheeses and other items, including my wifes much sought after vegan marshmallows. There was only one package left and we would have bought more if they had them. I also got a container of vegan rice marshmallow cremewich I have been craving on a saltine. Both are great, there a re a few marshmallows left as we have been rationing them to ourselves. My wife also found an apron which is perfect for her that she got which says “Vegan Master Baker”. Next would be a trip to Ikea that I have been looking forward to. I have been needing a new stand for my 60″ Sony television and the only reasonably priced stand I could find that was long enough was at Ikea. Once I saw the stand in person I noticed the shelves for components looked a bit small on width. Not wanting to buy the stand I really wanted only to get it home and find nothing I had would fit I decided to make some calls for measurement of components. Sure enough, the width was 1/2″ shorter than the standard 17″ component size. Why make something a standard component won’t fit in? After being a a little disgruntled I found another stand that looked like what I needed which had the shelving and length required. We also picked up some lighting to replace various ceiling fans in the game room on living room at a much better price than can be found at Home Depot or even the Ikea website. After loading two oversized boxes into a small car as well as bags from Ikea we headed to Trader Joe’s to stock up. As the Nashville store is not scheduled to open for a few months trips to Atlanta will include Trader Joe’s for the time. Next stop, Your Dekalb Farmer’s Market. 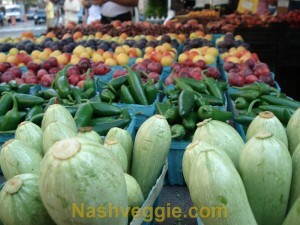 This is a stop where we typically fill the car with produce as the prices are hard to beat as well is the selection. With not much room to spare in the car we cut it short and opted for some basics as well as replinishing our spices with their large bulk selection. Our last restaurant stop would be Sweet Tomatoes. This is one place we always look forward to and would really like to see one open in the Nashville area, Coolsprings would be a great location. Afterward we packed up for the trip back home. As Atlanta is a regular trip for us we will probably be going back soon and I will try more at Soul Vegetarian, get back to Eat’s which we didn’t include this time and maybe Harmony Chinese.